Cosmetic science can now make your dreams come true! Try LUMETRICS Radiant Skin Complex! It&apos;s NOT a makeup... NOT a cover-up...NOT a filler. So please don&apos;t confuse LUMETRICS with common cosmetics, moisturizers and cleansers. LUMETRICS works to INSTANTLY restore the glow of youth while diminishing the appearance of lines and wrinkles, week by week. Try it for yourself - ?Your own mirror will convince you! 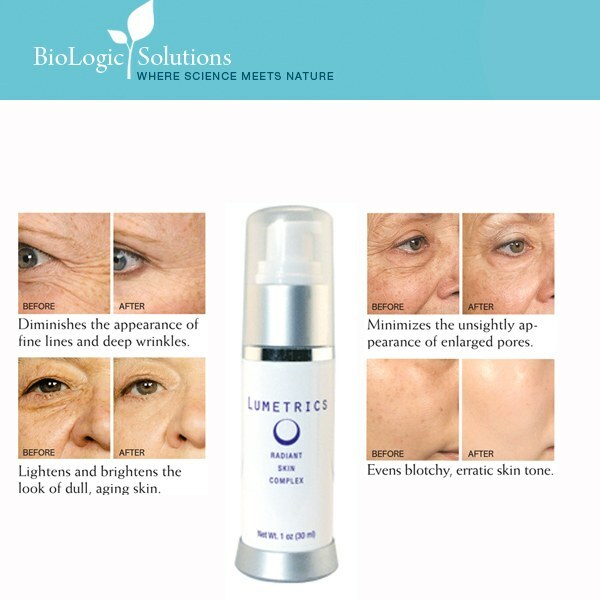 LUMETRICS restores flawless translucence so you look years younger! It&apos;s more than just a breakthrough moisturizer and wrinkle fighter. In clinical studies it increased evenness 10.3% within 10 minutes. Baby-skin pink tones increased 20%. Lines and wrinkles were reduced 30% and pore size was reduced 16% on average with 36% maximum. * Skin was reported brighter with a porcelain-skin glow in 100% of cases after a 56-day treatment period. Immediate skin lightening resulted in 60% of cases. Application:? Apply twice daily to entire face for the first week, then once a day, using small circular motions until absorbed.